The Leaf has all the range most people will need for their daily commute. It is relatively affordable to buy and comes absolutely loaded with standard equipment. However, not everybody will like the styling and regular motorway drivers covering hundreds of miles should look elsewhere. I also found the seats strangely uncomfortable, whatever way I adjusted them. Cabin quality is top notch but nowhere near Golf standard. And at this price, it comes in right against the e-Golf. The Leaf’s party piece is the e-Pedal, which can reduce brake application by 90 per cent. It allows the Nissan to be driven with just one pedal by pressing down or lifting off the accelerator to go or slow. All that battery equipment means the Leaf should struggle with weight but it’s quite agile. The Nissan isn’t a driver’s car but you won’t feel like you are steering a lemon either. I found it hard not to like the Leaf because it has been designed for first-time EV owners. Everything from the bonnet flap plug-in ports to the chic interior should appeal. The Leaf is the world’s leading electric car because Nissan has sold more than any other manufacturer. But with other mainstream manufacturers joining the charging fray, it’s going to face much stiffer competition in years to come. 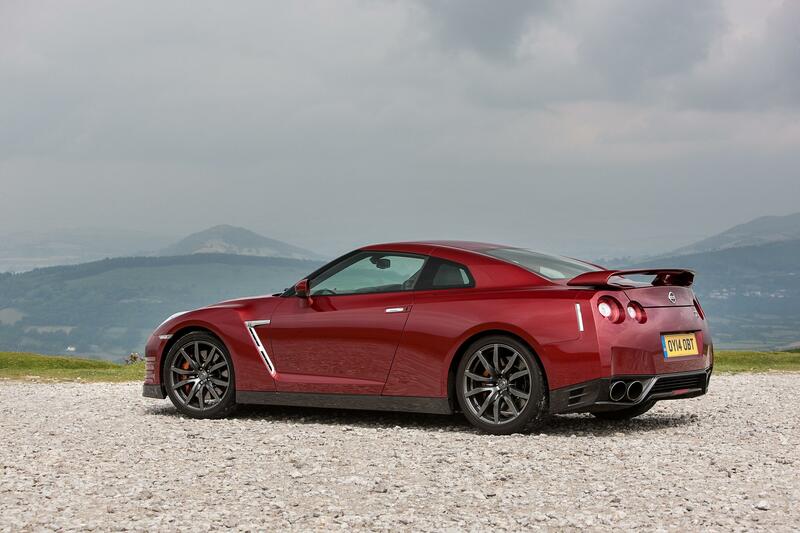 Nissan GT-R – Vulgar, Ugly And Fantastically Fast Fun! 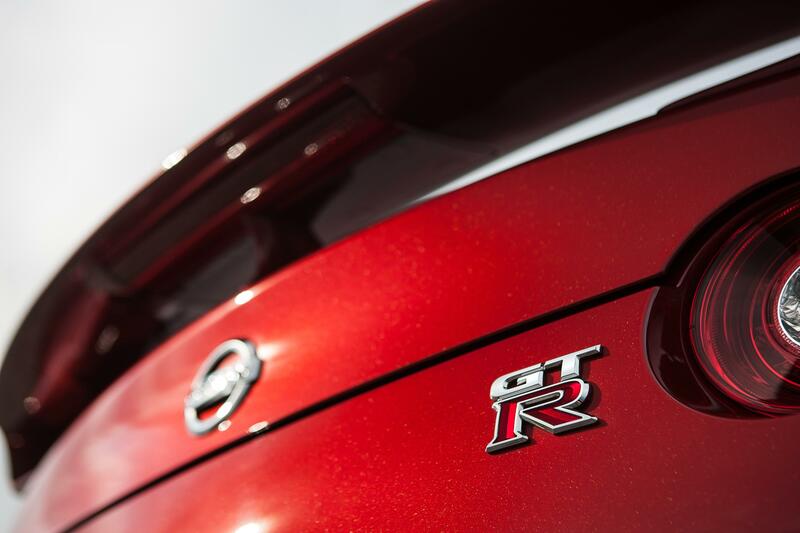 The motoring world is divided between those who have driven a Nissan GT-R and those who haven’t. My last ride in an equivalent Nissan was in the old Skyline – a fearsomely quick supercar that was more bling than a rapper’s jewellery drawer. 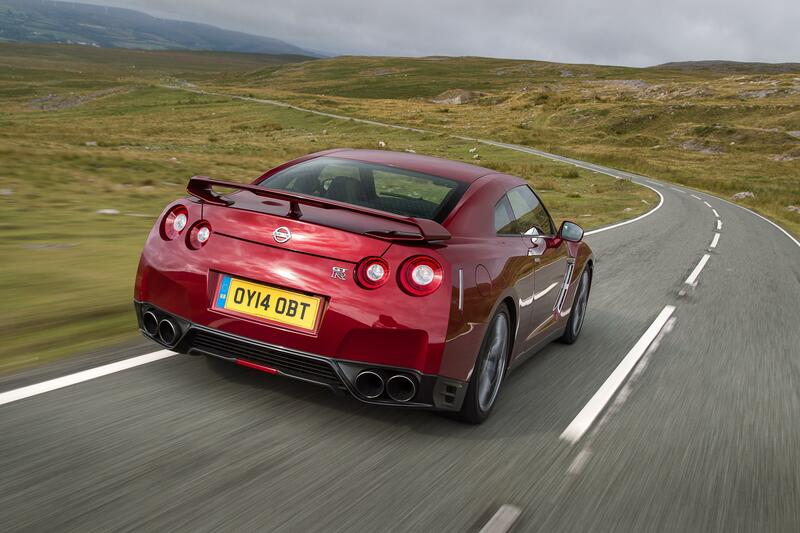 In lots of ways, the GT-R is just a grown up version of that legendary Skyline. It boxes well above its weight but still has the visual appeal of a rusty Mondeo. In dark blue. Whether anybody with £78,000 to spend on a car would choose the GT-R ahead of a Porsche 911, or even a secondhand Aston Martin, is debatable. I do know there are people out there who wear gold ID bracelets and insist on owning a personalised number plate. 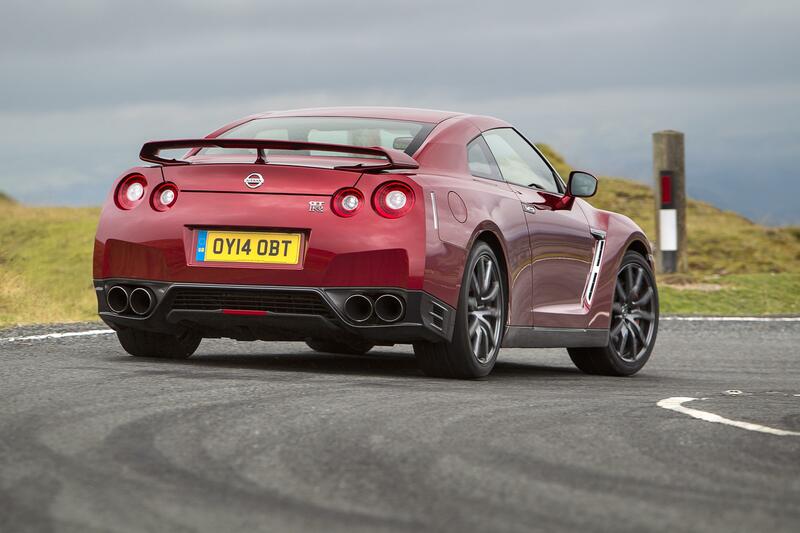 On a racetrack the GT-R is quite simply, the best. However, if you have an ounce of aesthetic sensibility in your body, this is not the car to be seen in on the High Street. ‘ve been trying to add up how many test cars I have driven since 1984 – some 50 a year for 20 years = 1,000. Plus all the launches, track days and so on. In all that time, I’ve never driven anything as fast from the traffic lights as the GT-R.
Well, there was Damon Hill’s old Arrows F1 car but that wasn’t on the road. No amount of Ferrari or Aston Martin madness comes close to the shove in the back created by the Nissan. I know that I would stain my driving license with points pretty swiftly if I owned a GT-R. It’s not just the 0-60mph dash in 2.8 seconds, the power just keeps on coming from the 3.8 bi-turbo. But what makes the GT-R so remarkable is that is serves up all this grunt in a very civilised way. Although you are hurtling towards oblivion with just a blip of the right foot, the Nissan feels rock solid on the road. There are no pointless buttons to make the exhaust sound prettier, it’s not a luxurious gentleman’s club in the cabin and the GT-R doesn’t come with a handcrafted key fob make from virgin foreskin. Audi launched the original TT more than 15 years ago. Remember the fuss about the rear spoiler? Apparently, there were a couple of fatal accidents which were blamed on the car not sporting a wind-deflector on the boot. Without it the TT was allegedly unstable. It was the ugliest spoiler – until Nissan slapped a luggage rack on the back of the GT-R. Friends with a more artist eye have already commented on the whopping wing. It looks quite ridiculous and does nothing for the shape of the GT-R.
For all the snorting performance of the Nissan, the GT-R is surprisingly old fashioned in the cabin. I guess the real cutting edge stuff has been saved for under the bonnet, encased in a hand-built,3.8-litre twin turbo engine. 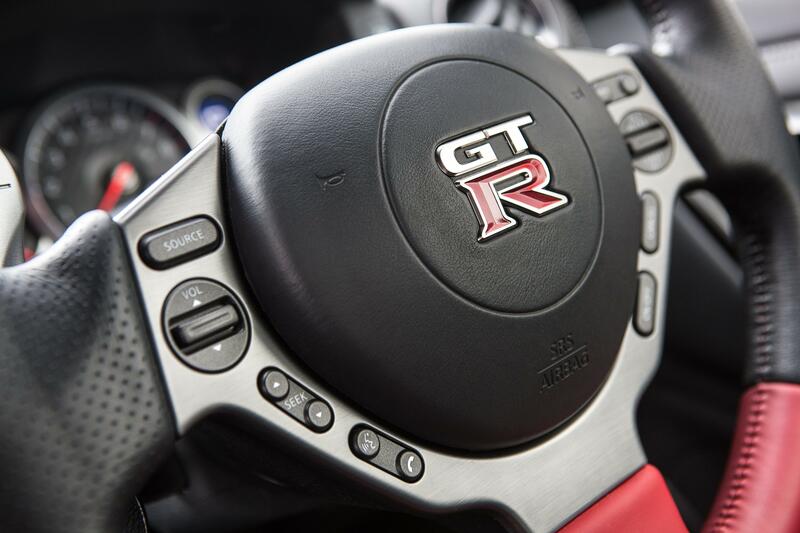 The steering wheel is a rash of buttons – probably too many to even consider if you are driving the GT-R with gusto – and a pair of elongated flappy-paddle gear changers that just add to the sensation you are travelling very fast indeed. The entire instrument binnacle adjusts with the steering column, so you will never have any excuse for not seeing the speedo hit 100mph in just a matter of seconds. The seats are actually quite comfortable – I can even squeeze the dog onto the back seat. The infotainment system is thoroughly entertaining, My favourite screen today is the one that shows G-force settings on acceleration and cornering! Surely every car should have one? The best piece of advice I was ever given about driving a high performance sports car was never press my foot on the accelerate – just squeeze the toes. I was driving a Maserati on the Ferrari proving track in Italy. At the wheel was an elegant woman racing driver who steered the 3200 with a passion normally reserved for the bed chamber. A memorable moment for many reasons but I digress. If ever a car demanded elegant squeezing of the toes it was the GT-R. Today I drove to the supermarket in Chipping Norton and tweaked the accelerator on a mini roundabout. 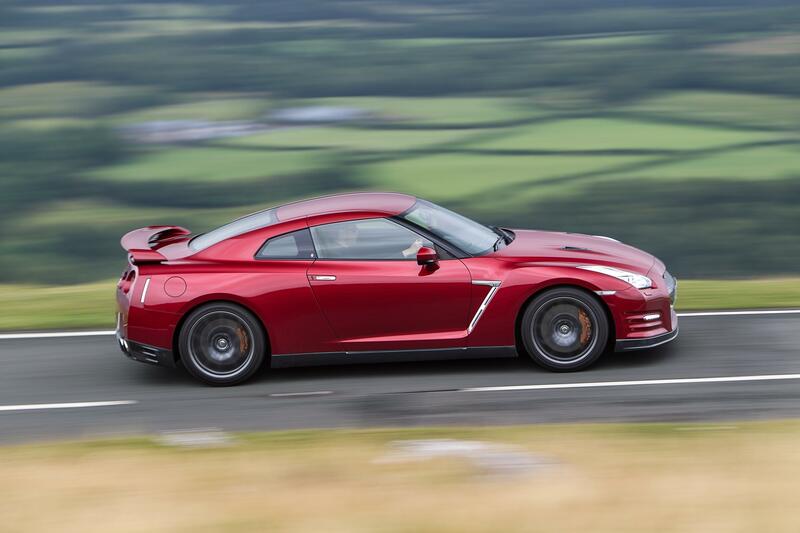 Driving the GT-R up the main approach to Goodwood House today was like introducing a soap star to the Queen. We all know it’s going to happen one day but there’s still something rather vulgar about it. Lord March’s latest money-spinner is a tie-up with BMW for a public on-road, off-road driving experience around his 12,000-acre estate. It was launched today in the dampest conditions I’ve seen in months. Some of the track driving was abandoned it was that wet. Lord March, who looks remarkably similar to Hugh Grant these days, has the Midas touch at the moment. His Festival of Speed is second only to the British GP as the top motoring event in the country. Surprisingly, the BMW engineers and mechanics were secretly itching to peep inside the GT-R. They had some electric i8s available and I would gladly have swapped. To put it bluntly, the Nissan looked like a fish out of water at Goodwood. Yet there’s no doubt it would destroy all the M5s and M3s we had available to drive.